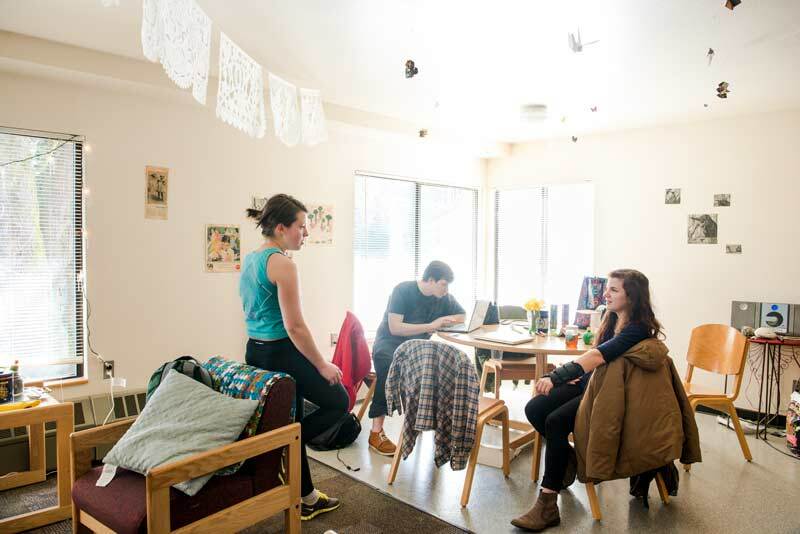 Returning residents and transfer students live in apartment-style housing. You'll have privacy and a more independent lifestyle while enjoying all the amenities of on-campus living. Apartments offer common areas and a kitchen, so you can come together with your friends and build community. Each apartment features four or six private bedrooms, a shared bathroom with two sinks and a separate toilet and separate shower, and a spacious open-plan kitchen and living room. These are great spaces for studying or gathering with friends after school. All apartments have been remodeled within the last five years with many sustainable features, including recyclable wood flooring and carpeting, dual flush toilets, low-flow shower heads, and no VOC paint. Apartments E–U are three story buildings surrounding the Housing Community Center that house around thirty students in six separate units. If you choose to live in the apartments, you’re required to purchase a meal plan. You can select from a variety of great meal plan options, including the exclusive Thrifty 250 plan. Learn more about apartment meal plan options. View panoramas of a typical living space and bedroom. View a map of campus (PDF) to see where everything is located. Roommates cooking a meal in their on-campus apartment. Students moving in to their apartments. The employees of RAD Services were on hand to give directions and help new residents get their possessions into the building. The following options are available for apartment residents. Quiet: for students who prefer a quieter, academic environment, these rooms require observation of quiet hours at all times. Substance Free: for students who are committed to leading lives without the use of alcohol or other drugs. 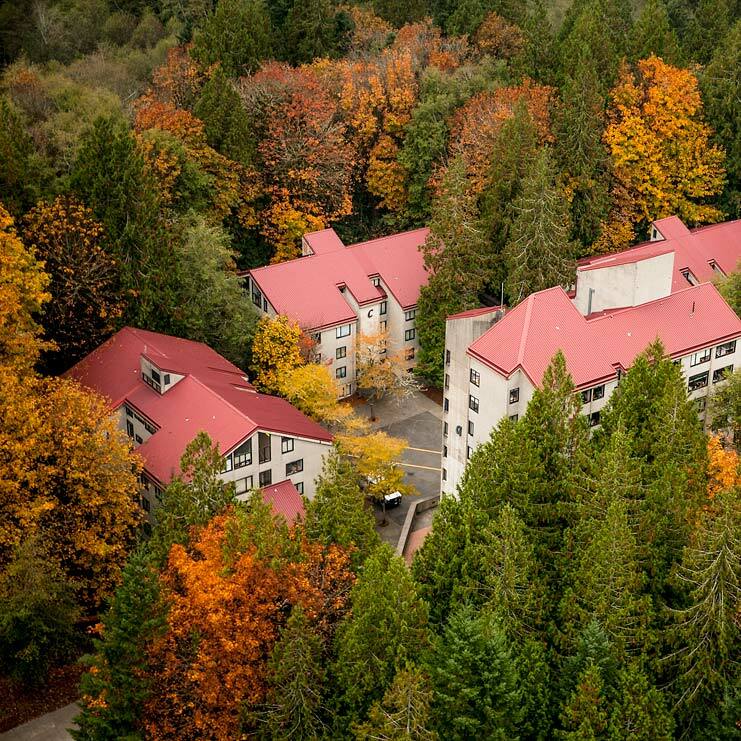 Transfer Student House: for students who have transferred from another college and are new to Evergreen. Living Learning Agreements (LLAs) are an invaluable tool for you to create with the rest of your apartment. They can help provide context and framing for how your apartment wants to live together, how you want to handle cleaning your space, how to best communicate with each other, and how to strive to be the best possible roommates. Download the Living Learning Agreement (PDF).